Temperature is measured in degrees Fahrenheit or degrees Celsius with a thermometer. Mercury in the glass bulb expands as it gets hotter and rises up the scale to show the temperature of the air. A Maximum Minimum thermometer (also known as Six’s thermometer) measures the maximum and minimum temperatures. A bulb containing alcohol expands as it gets hotter and pushes mercury around the U bend of the thermometer. Metal markers at each end of the mercury record the temperatures. The left side measures maximum temperature and the right measures minimum temperature. Rainfall is measured in millimetres using a Rain Gauge. The tube and funnel on the left of the picture fits into the overflow catch on the right and is placed into the ground. Rain is collected through the funnel. The tube has a scale which shows the amount of rainfall. Wind direction is measured by a Weather Vane. Four hemispherical cups are blown by the wind and spin faster the stronger the wind. The speed of the wind is shown on a dial at the bottom. Cloud cover is measured in oktas. 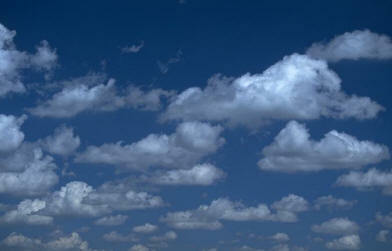 Meteorologists look at the sky and decide how many eighths of the sky are covered in cloud. Air Pressure is measured in millibars using a barometer. The picture shows an aneroid barometer. Changes in atmospheric pressure cause a chamber inside the device to expand or contract. A series of levers cause the dial to move showing whether pressure is rising or falling. Humidity (the amount of moisture in the air) is measured using a hygrometer. The device contains a strand of human or animal hair which lengthens when there is more moisture in the air and shortens when it is dryer. The hair is attached to a pointer which shows the humidity.